Before we discuss cosmetic options for transforming your smile, and before any preparations for treatment, there’s one question that needs to be answered: What do you want to be different about your smile? 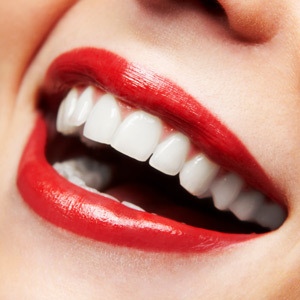 There’s a common misconception that cosmetic changes to the teeth and gums — a “smile makeover” — is primarily a technical achievement based on rigid principles of beauty. Patients believe they must defer to their dentists for what will look best. But that’s not the entire picture: what’s often lost in the understanding is that it’s your smile — the smile at the end of the process you must be comfortable showing with confidence. Knowing to which side you lean is important at the outset. It’s then important for you to communicate those expectations with us. While we’re focused on the technical aspects of treatment — tooth length, the lineup of teeth with other facial features or the gum-to-lip distance — only you can express what’s going to be a beautiful yet comfortable smile for you. By meshing the technical requirements with your personal desires, we’re able to formulate a makeover plan that fits you. It all begins with a comprehensive examination to determine the exact health state of your mouth, and it may be necessary to first perform dental work to improve it. From there we can discuss what is and isn’t possible to change the appearance of your teeth and gums. In the end, we want the same result as you — a beautiful smile you’re happy and confident to show the world.